These apply to all servers unless specified otherwise (Ark Exempt - See Below). PVP: Only allowed if all parties agree to it. Use chat to make this clear (logs). Don't argue with the staff on the server. If you want to make your case, use the forum. No chunk loaders allowed. Any kind of chunk loading without the player present must be avoided. Player builds server CPU usage are fair use. Staff will determine what is fair use. If one of your builds lags the server, you may be asked to change things. 20 adult animals total. Each animal needs to be in its own 16x16 pen in it own chunk fenced in, the fence can have small sections for gates. 4 plots of tilled soil farmland or berry bushes. This means 1024 blocks. They may be in more than three plots, but 1024 max. Can be mixed between the two. no cool down on teleports. Currently the TFC and TnFC servers are freebie servers. Ignore the text below about perks, that needs to be updated. TFC and TnFC are public servers. 20 total adult animals. This means any selection of adult animals that totals to 20. Each animal needs to be in its own 16x16 pen in it own chunk fenced in, the fence can have small sections for gates. 4 plots of tilled soil farmland or berry bushes. This means 1024 blocks. They may be in more than three plots, but 1024 max squares. 1 of each kind of anvil. (copper, bronze, wrought iron, steel, etc. 50 total machines per town, not counting storage devices. The following values are guidelines. If we're not exactly sure what happened we will make a guess and then round up. Either way it's bad news for the player who is about to be jailed. 1 hour per griefed block/item. 1 hour if you get jailed for language. 1 hour per item over the limit: fruit tree, anvil, animal, etc. 2 hours per stolen item. 4 hours per stolen/killed animal. No player harassment, play nice. No base wiping, bust in get what you want and leave. No resource blocking (such as mountain tops). No undermeshing, no exploits, no duplicating, etc. Dinos and bases can't be impossible to raid under normal game mechanics. What staff say in game is absolute. Take your grievances to the forums. Currently the TFC and TnFC servers are freebie servers. Ignore the text below about perks, that needs to be updated. TFC and TnFC are public servers. If you'd like to donate use the PayPal button on the home page. Donations start at 15 euro. They are valid for as long as we are running Minecraft servers. So it's a one-time only donation that gets you into all of our tier 1 donor servers. Right now that 3 huge servers. tier 1 €15,- / for as long as we're running Minecraft servers. Access to all the tier 1 servers. People who have donated in June of 2015 or later will gain access to the servers based on the amount they've donated for a full year from the moment we open the servers. We will open up a market which people can use to donate. This market will also offer several other donate options for those who wish to donate more than €15,- Please keep in mind that we will reward ANY donor package with access to the tier 1 donor servers. Also none of the donor packages will have any kind of pay to win stuff. It's just a few little cosmetic perks you can use to show of your support. Support our servers and gain access to our donor servers. Each server is 80.000 x 80.000 blocks and fully pre-generated. less strict limitations on trees and animals per town: 12 fruit trees, 20 adult animals. towns may have 4 plots (16x16 blocks) of tilled soil a.k.a farmland and/or berry bushes. Towns get 32 plots per resident. Support our servers and gain access to our donor servers. Also get a title to show off your Awesome support. People will envy your awesome title. Dynmap custom icon for towns, request one on our forum. Support our servers and gain access to our donor servers. Also get a title to show off your Legendary support. People will envy your legendary title. Support our servers and gain access to our donor servers. Also get a title to show off your Epic support. Peole will tell tales and sing songs of your EPIC support. Please keep in mind that all perks related to donors only apply on the donor servers. You can't take perks with you to the freebie server. That would make it unfair to non-donors and thus pay to win. minimum online time before players can start towns: 12 hours. strict limitations on trees and animals per town: 8 fruit trees, 8 adult animals. towns may have 3 plots (16x16 blocks) of tilled soil a.k.a farmland and/or berry bushes. Towns get 16 plots per resident. Provides easy access to all the other server without the need to use commands. Just walk through the correct portal. Players who break the rules get send here instead of receiving an instant ban. Server has labor prisoners can perform while they serve their time. Standard Ark map "The Island"
You can connect to all of these servers through the lobby server. Our TerraFirmaCraft servers only requires you to have the TFC mod installed. Lobby lobby.happydiggers.net:4000 /server lobby N/A The Lobby server gives access to all the TFC based server. It has a ton of mini games you can play like paintball, spleef arena, mob arena, PVP arena, etc. 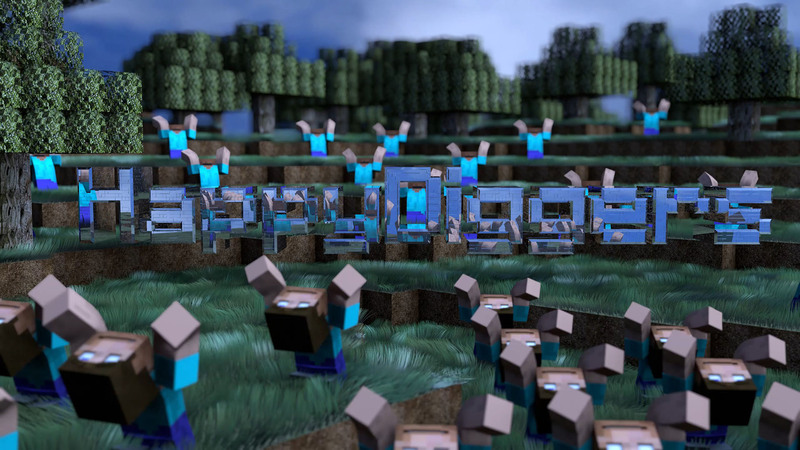 Freebie TFC tfc.happydiggers.net:4000 /server freebietfc https://tfc.happydiggers.net Our public non-whitelisted TFC server. It has a lot of plugins to make life more convenient. Jail jail.happydiggers.net:4000 /server jail N/A The jail server is where players are send who break the rules. Here they must serve their sentence and participate in menial labor. This server requires you to have the TechnodeFirmaCraft mod pack which is available on the ATLauncher. Once you have the AT Launcher you can search for the pack TechnodeFirmaCraft, create a new instance and then use the share code in the optional mods dialog to get the exact mod pack configuration you need to join our server. Freebie TnFC tnfc.happydiggers.net:3000 3.6 Use suggested mods. -Spawn world is land of floating islands. -EarthBound is a custom generated landscape. -Creative lets players build in creative mode. HappyDiggers Snapshot snapshot.happydiggers.net:25566 Note: the map is reset with each new snapshot or release. This one has some specific rules. Bad language, swearing, cursing: BAN! These servers are for our VIP members only. Vanilla vanilla.happydiggers.net:2020 Runs Vanilla minecraft. No mods, no plugins. This is NOT a Minecraft server, obviously ) You can get ARK on Steam or any of the other digital resellers.